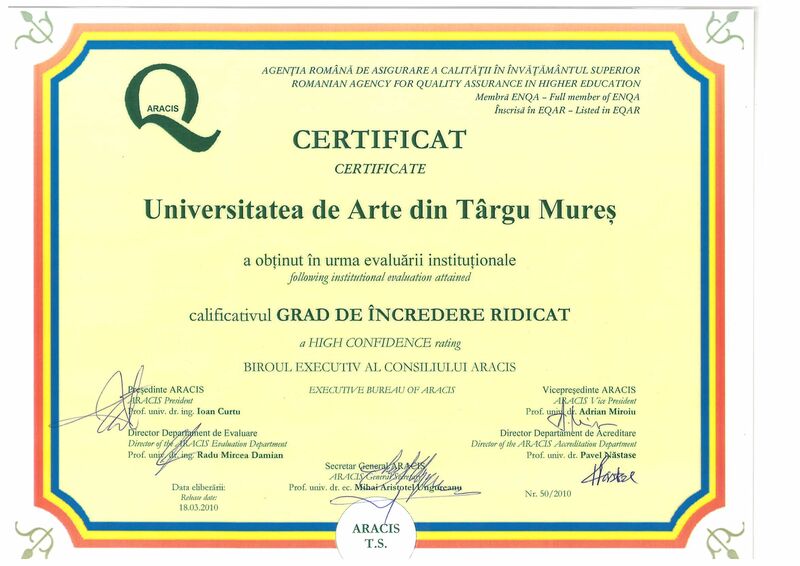 The University of Arts Târgu-Mureş is an accredited higher education state institution, as established by law (Annex no. 1.-1.1.). The University of Arts Târgu-Mureş is engaged in education, scientific research and artistic creation, based on the regulations and established benchmarks of University Charter, in accordance with the national legislation (The Romanian Constitution, National Education Act no.1/2011 and other national laws and regulations in the fields of education and culture) and the principles of the European Higher Education Area.